Undifferentiated embryonic stem cells rapidly proliferate and are very delicate. As such, phototoxicity during time-lapse imaging may damage them and reduce proliferation speed. It is therefore very difficult to perform time-lapse imaging of embryonic stem cell proliferation under physiologically accurate conditions. The FLUOVIEW FV3000 microscope possesses sensitive detection devices and a highly efficient light path, thus facilitating low-phototoxic time-lapse imaging using extremely low laser power. 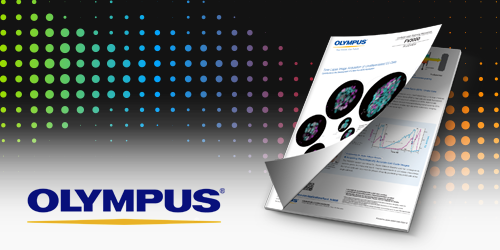 Download this application note from Olympus to find out how this microscope enabled one research team to perform a time-lapse imaging experiment on embryonic stem cells spanning 57 hours!